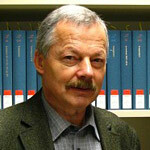 Hermann Deuser is Professor of Philosophy of Religion and Systematic Theology at Goethe University (Germany). We invited him to answer the question “What is Philosophy of Religion?” as part of our “Philosophers of Religion on Philosophy of Religion” series. Religion as a (cultural-historical) summary term and, in individual cases, lived religiosity denotes a specific form of life that arises from the finite existence of each and every human being. This is because, while we are never able consistently to master our own lives, we understand ourselves, and need to be understood, in terms of a context of ultimate experience. The concept formation ultimate reality/ultimacy (R.C. Neville) does not refer to a specific content, but is a placeholder for the status of religious valuations, experiences, objects, functions, attitudes, etc., without however pre-forming them. The special significance of this status obtains in the exclusion of conditionalities: the ultimate – whether it is first or last, connotes a personal God, a plurality of gods or non-personal transcendence – expresses what is always already prior due to the perception, experience and awareness of derivativeness. Conditions are then either not to be specified at all or at least not until afterwards (perspectivally and partially), which is why the peculiarity of religion lies precisely in the simultaneous treatment of withdrawal and revelation, i.e. in the processing of the ultimate so that it can find representation. The way of accessing the specific character of religion that is simplest, most universal, and familiar to our life-experience is through the use of signs, which is generally supposed to be a precondition for human communication. In their phenomena-disclosing character, they are described (with C.S. Peirce) as categorical and formal-semiotic: any immediate presence/perception (firstness) has an objective reference to experience (secondness), and these stand in direct relation to each other in an interpretive behavior (thirdness). This trichotomy (of sign, object and interpretant) forms linkages and networks, such that previous interpretants become new signs for subsequent events etc. Immediate perceptions (resulting from unmediated impressions and feelings), object relations and behavior remain dependent on each other and can themselves become present in their derivativeness. The preceding perception of quality always persists as an accompanying, irreducible premise. And the immediacy of the first appearance, of the original moment, that enters into all the necessary mediations can either now not be further spoken of in a mundane way (its underlying function concealed), or a special kind of access may be activated through the use of signs that expresses its peculiar derivativeness as such and make immediacy capable of being processed. Herein lies the power of religion. While religious studies and religious history describe these merits from a methodologically limited observational distance, the philosophy of religion is interested in how the generalizations of religiously based reality claims are able to represent the truth. The expressiveness of ultimacy cannot of course be objectified directly in its original independence, but is to be conceived as generally effective nonetheless because it is derived from a creative original standpoint which precedes everything else. While the individual sciences have been committed in modern times to empirical objectivity to make factual determinations and form theories, the concept of reality needs to be comprehended more broadly: actual efficacy consists of a creative origin, empirical certainty and rule-like behavioral development. For this understanding of “real,” metaphysics’ responsibility and the expressive disclosure of this reality in the perspective of its original ultimacy falls under the purview of the philosophy of religion. If the philosophy of religion has always existed in this fundamental sense (that is, since an awareness and a critical stance toward each defining religious tradition has been culturally possible), it has only been a focus of the philosophy of religion as an academic discipline since 1800 (the European Enlightenment) – in other words, since the self-evident connection between natural reason and supernatural revelation began to dissolve. I. Kant underlined this difference in his own way to justify the founding of the philosophy of religion: the chance to have a new “philosophical theology” that is no longer subject to censorship by religious authorities (“as in the time of Galileo”) will only be realized when a “biblical theology” operates independently of it. The natural or rational – i.e. religio-philosophical – religion is thus distinguished from a revealed or supernatural conception of religion in that the latter demands “faith.” This emancipation of a philosophical discipline, as a child of its time, is very understandable, but also unsatisfactory, because it radically separates existential faith from knowledge that is solely objectively valid. Faith understood as the formation of conviction, however, remains as indispensable for (scientific) knowledge as, conversely, the life-world examination of faith in relation to experience. This bridge function of pragmatist thinking (C.S. Peirce) opens up new possibilities for the philosophical conception of religion compared to the Kantian tradition. With the orientation towards ultimacy, the obligatory character that is implied in this term is also understood: we call such experiences “aesthetic” that are based on the quality of perceptions and cannot be ignored; “ethical” those that concern the reliability of value relations and cannot be doubted as guides of conduct; “logical” those whose evidence and consistency compel outright objective and subjective veridicality. The religious experience of ultimate reality has much in common with this obligatory character. It is historically indistinguishable in many epochs, and yet it is by all means to be singled out as independent due to the increasing demarcation in modern times between the spheres of life and the sciences. Religiosity responds to the ultimate as such – unprotected und unmediated as it were – while aesthetics, ethics and the logic of veridicality add their respective working conditions and self-chosen means of representation to make that which appears to them as the ultimate capable of expression. Viewed from the standpoint of cultural history, all religions have handed-down (e.g. aesthetic) forms of expressions that are meant to somehow finally correspond to the ultimate. But the particular religious emphasis is found where derivativeness, ultimate reality, idiosyncrasy, receptivity, passivity, etc. establish an immediate and novel presence in way that does not appear conditioned or fabricated, but rather expresses an original creativity that has never been seen or heard before. If it to be effective, it is only possible in images, stories and symbols (symbolic acts and rituals) whose relation to reality is not directly empirical, but nonetheless appears – and what is all the more effective for a person’s life-orientation – indirectly in a figurative sense. In the mediatory guise of its appearance, ultimate reality takes the indirect paths of its own (religious) imagistic, verbal and symbolic forms, both for the sake of its ultimacy and in order to present its specific reality character.